Quick and easy to make, having a jug of flavoured water in the fridge can keep you from reaching for other drinks that are full of sugar or artificial flavours. There are plenty of options when you are looking for a cool drink on a hot day or after exercise. But not all drinks are created equal. Water, liquid-sugar, glucose-fructose, citric acid, natural and artificial flavour, salt, sodium citrate, monopotassium phosphate, colour. A well-marketed sports drink, Gatorade contains about 6 teaspoons of sugar per bottle! Most of us don’t engage in prolonged, vigorous exercise in hot weather to justify drinking this much sugar. While potassium and sodium are key nutrients that contribute to fluid balance you would need to drink an awful lot of Gatorade to meet the recommended daily potassium intake of 3800mg. Coconut water has recently been elevated to the status of ‘superfood’. 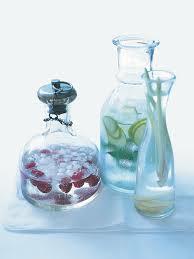 Aside from some of the overblown health claims, it is a good source of hydration and does contain essential minerals. However, just like sports drinks, you would need to consume an awful lot of coconut water to meet your dietary requirements of minerals such as potassium, calcium and sodium. You’re better off eating a balanced diet to obtain these key nutrients. While there are about 16 teaspoons of sugar in a 600mL regular soft drink, the seemingly ‘healthy’ flavoured mineral water carries unnecessary calories in the form of sugar, often consumed unnoticed – on a hot day or mixed with spirits. Not only do these drinks provide a lot of energy to burn off, they are increasing your risk of type 2 diabetes, heart disease and some cancers.